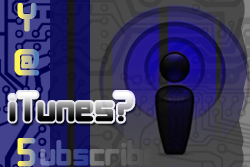 Thanks for checking out our technology podcast. This is Yet Another Tech Show or as we call it, YATS. 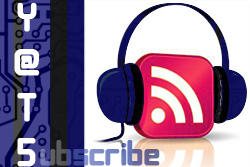 This is the podcast where we as tech evangelist sit and discuss the latest tech news with a twist of fun and entertainment. You won’t find “talking heads” on this podcast, folks. Each week our core crew of Mat Lee, Mike Rothman, Larry Press and myself Ant Pruitt sit down and chat. But we are also joined by guests from time to time. This week, Chris Miller stops by. He’s becoming a regular on the show, actually. Anyway, let’s get rolling with our show notes. I’ll keep them brief as you follow along with the audio playback or video rerun. It’s episode 62 of Yet Another Tech Show! Welcome, everyone. This is YATS. The tech podcast that focuses on bringing you informative, yet entertaining tech discussions each week. Our tech evangelists include producer Mat Lee, Larry Press and myself. I’m the one and only Ant Pruitt. This week we’re joined by regular guests Chris Miller of Spiked Studio and Richard Hay of Google. Also, new YATS guest and Attack of the Androids host, Nick Carroll. We appreciate these guys joining us. Ok, the formalities are out of the way, let’s get into the show notes.